Ulric Neisser was a founder of the field of cognitive psychology. His research and writings have made lasting contributions and helped shape its present form. His work focused on human memory, particularly in real-world contexts, on the self, and on intelligence testing, but his impact extended far into other areas. By drawing together and reconceptualizing a wide range of theory and research from many laboratories, Neisser’s 1967 book Cognitive Psychology gave shape to and helped name the then-emerging field. His 1976 Cognition and Reality tied laboratory findings to ecologically valid real-world settings, a theme he pursued further in Memory Observed, and in several co-edited books, including Remembering Reconsidered and Accuracy and Affect in Recall: Studies of “Flashbulb” Memories both with Eugene Winograd, and The Remembered Self with Robyn Fivush. Other efforts focused on the science and politics of IQ testing and included chairing an APA task force and his volume The Rising Curve: Long-term Gains in IQ and Related Measures. Other edited books include The Perceived Self; The School Achievement of Minority Children, Concepts and Conceptual Development; and The Conceptual Self in Context (with David Jopling). Neisser, who was born in Germany and immigrated to the United States in 1931, earned his bachelors and doctoral degrees from Harvard, and his masters from Swarthmore. 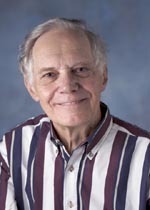 He taught at Brandeis, Cornell, and Emory Universities and was professor emeritus at Cornell University. He was a member of the National Academy of Sciences, of the American Academy of Arts and Sciences, and of the Society of Experimental Psychologists. He also received Guggenheim and Sloan fellowships, and multiple honorary doctorates. * The FABBS Foundation would like to thank Dr. James Cutting and Dr. James Pomerantz for nominating Dr. Neisser for this honor and for leading the effort to spread the word about his nomination. Would you like to honor Dr. Neisser? It’s not too late to have your name added to the list of donors! You can make your donation to Dr. Neisser’s In Honor Of… campaign at anytime.